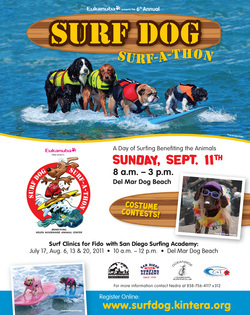 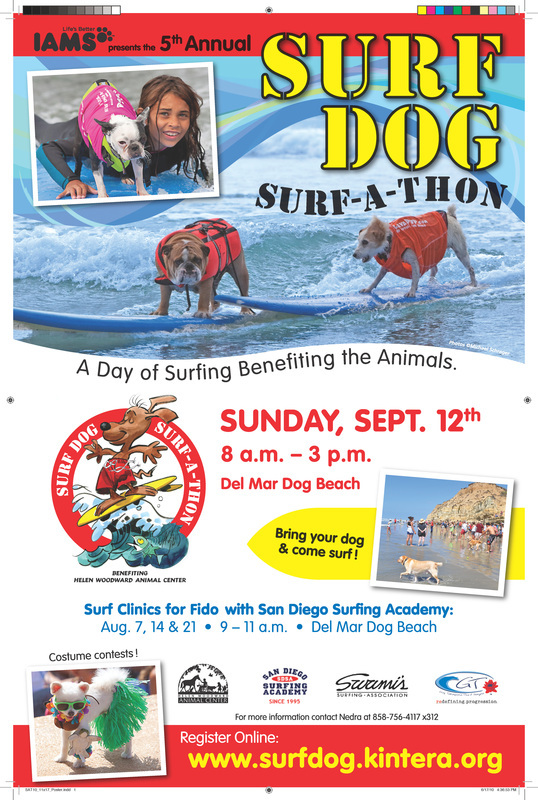 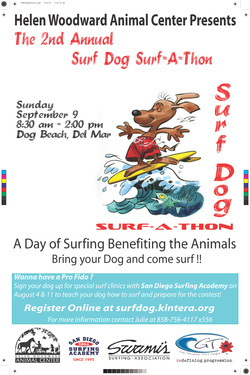 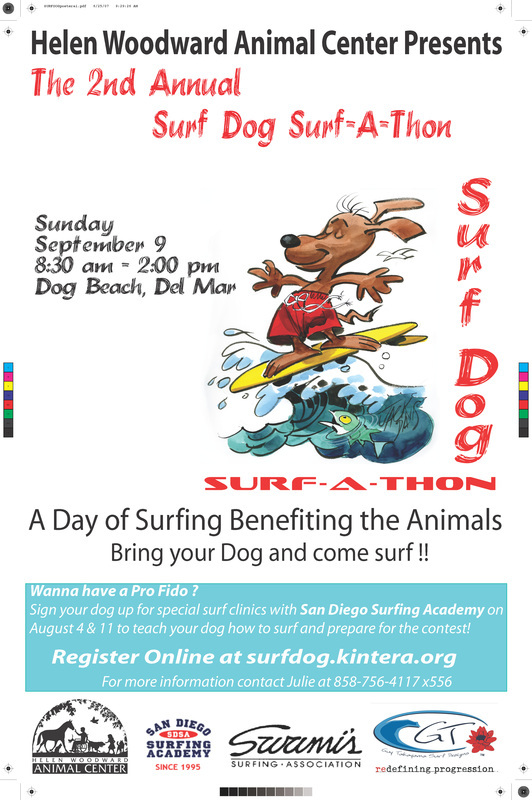 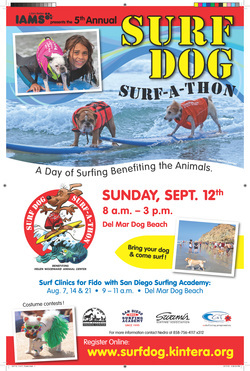 took place on Sunday, August 17th, 2014 at Dog Beach in Del Mar. 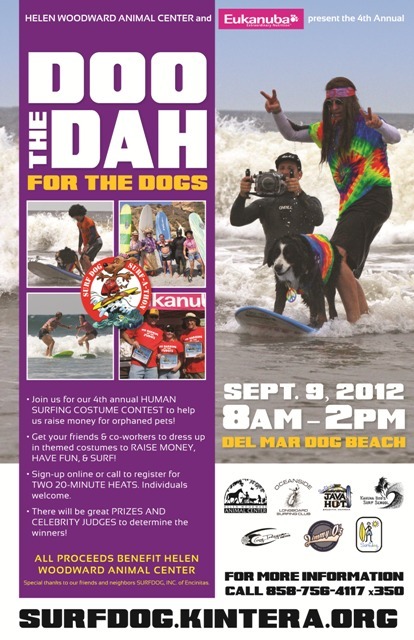 from the SoCal Surf Dogs. 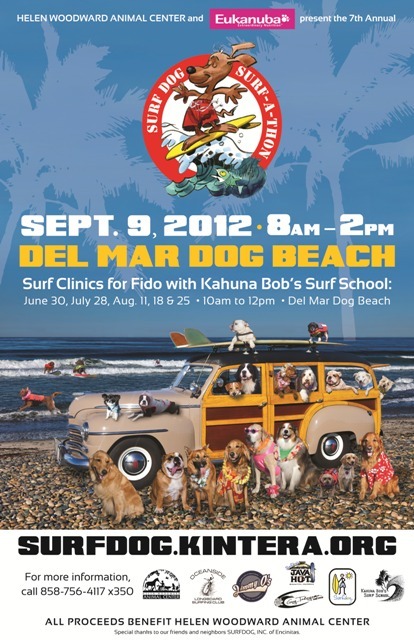 Here are a few of the dogs who attended as seen through the eyes and lens of photographer Dale Porter of Killer Image. 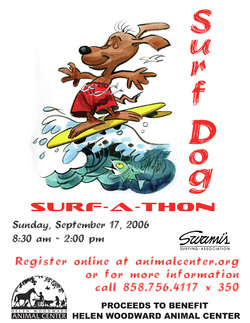 You can check out more of his work by clicking on his logo to the left. 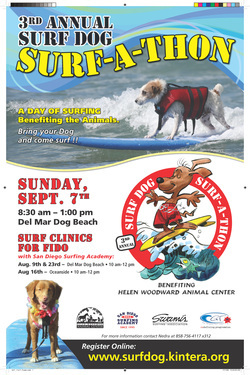 2013 HWAC Surf Dog Surf-A-Thon WINNERS! 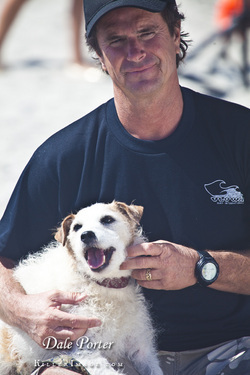 Nani was inducted into the Surf Dog Hall of Fame. 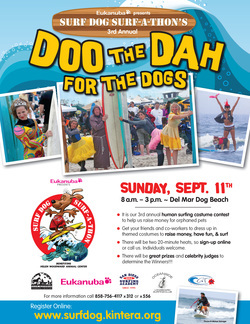 to receive this prestigious honor. 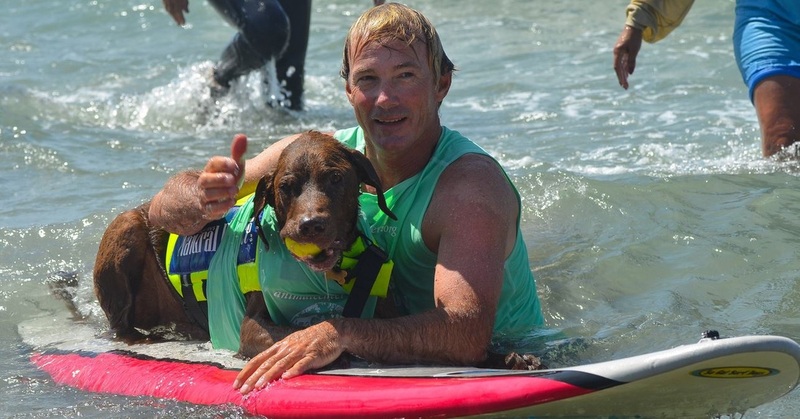 100 Surf Dogs competed in the biggest Surf Dog Competition ever! 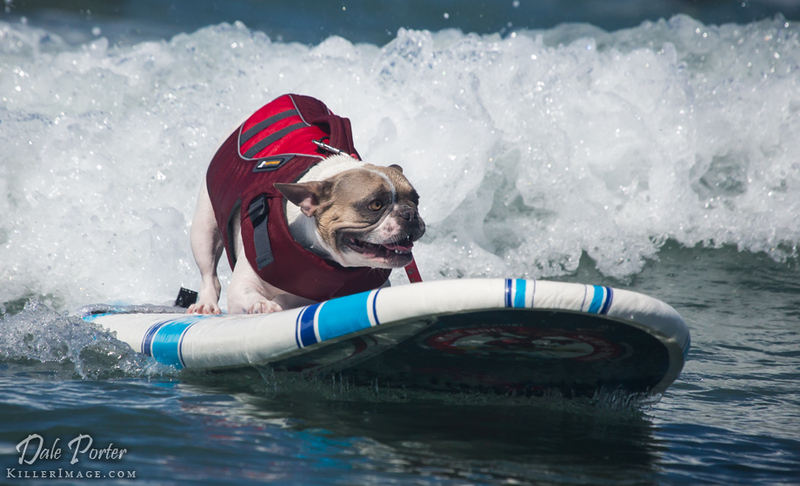 and then went on to BEST IN SURF! 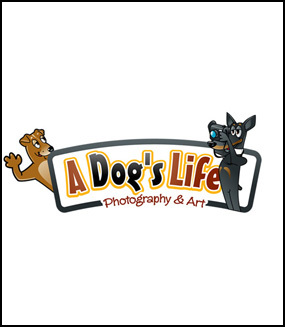 took place on Saturday,August 24th, 2013.
of photographer Craig Jones of Dogscapes. 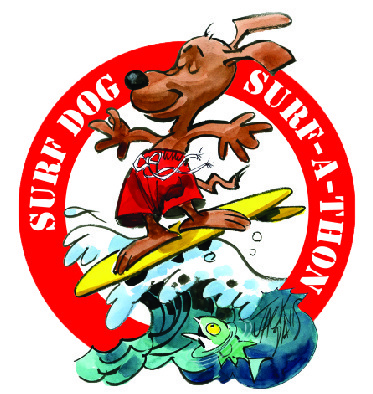 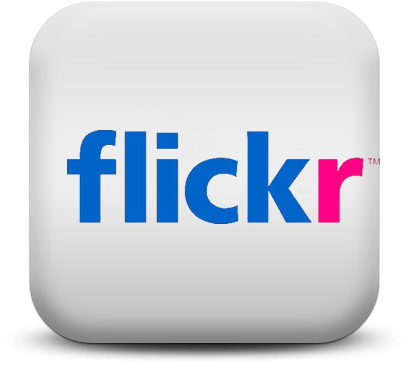 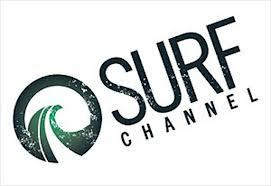 took place on Saturday, July 20th, 2013.
just click on Buddy and the Surf-A-Thon Logo! 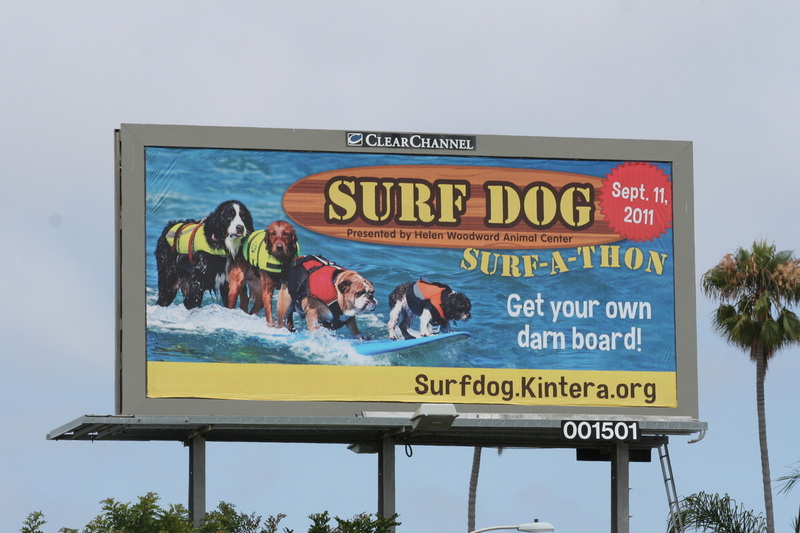 took place on Saturday, June 29th. 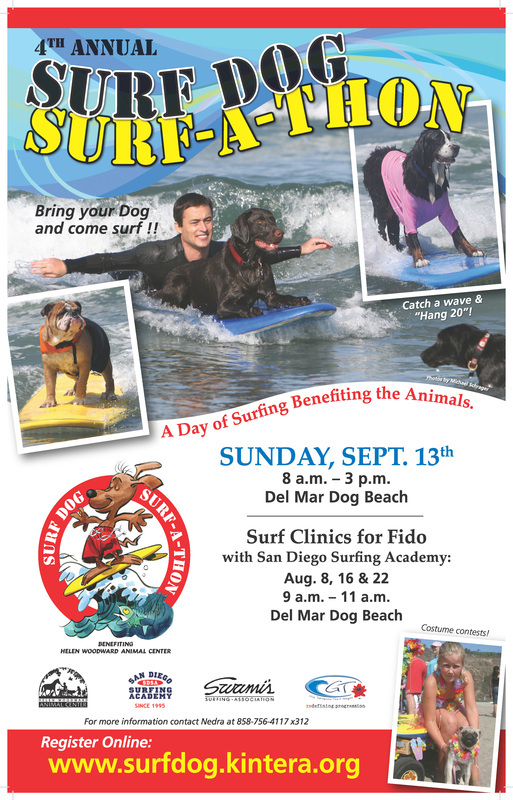 The SoCal Surfdogs have volunteered to help teach the new GromMUTTS how to surf at the Helen Woodward Animal Center's Surf Dog Clinics for years. 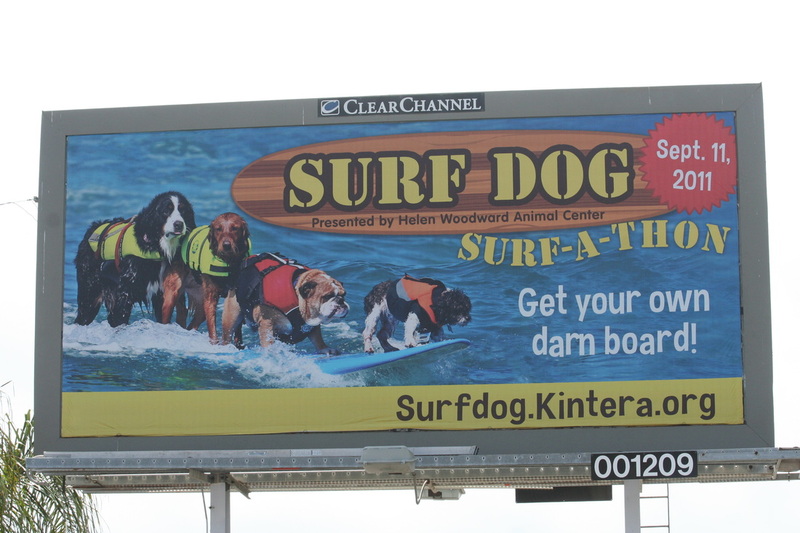 We all noticed that the surfboards they use to teach the dog to surf were horrible. 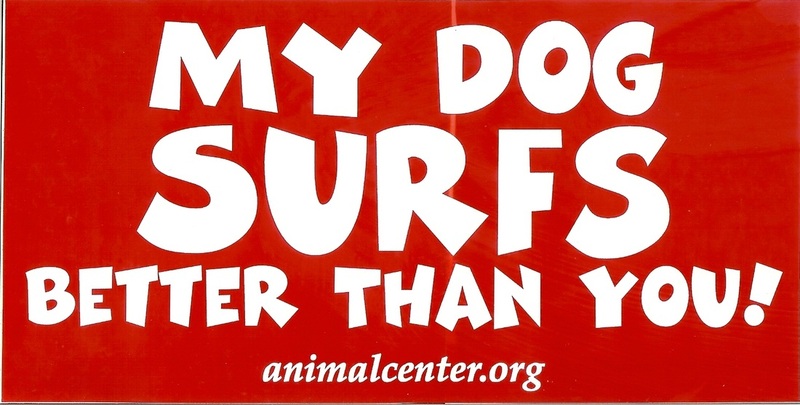 They were flat (no rocker) waterlogged and chewed up! 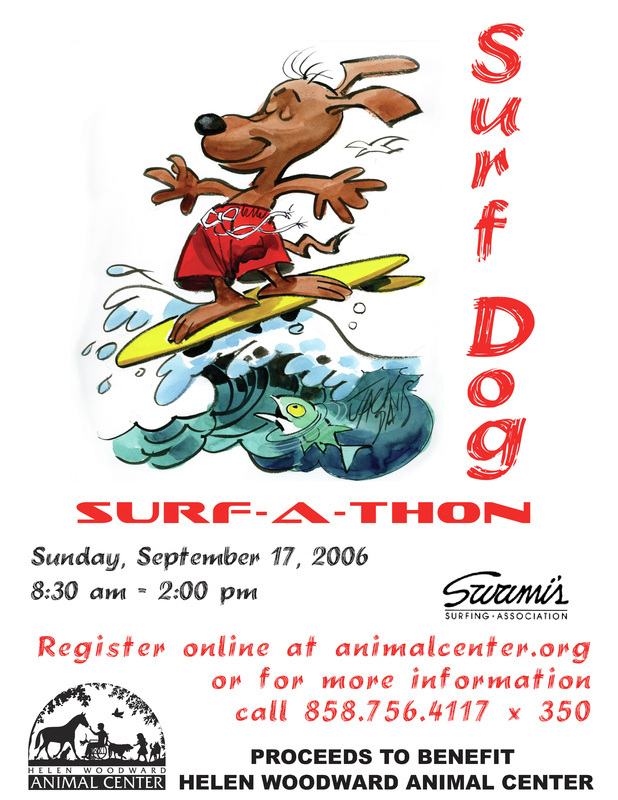 We all felt hat it's not right for the HWAC to buy new surfboards as this would take sorely needed funds away from the work of the Animal Center. 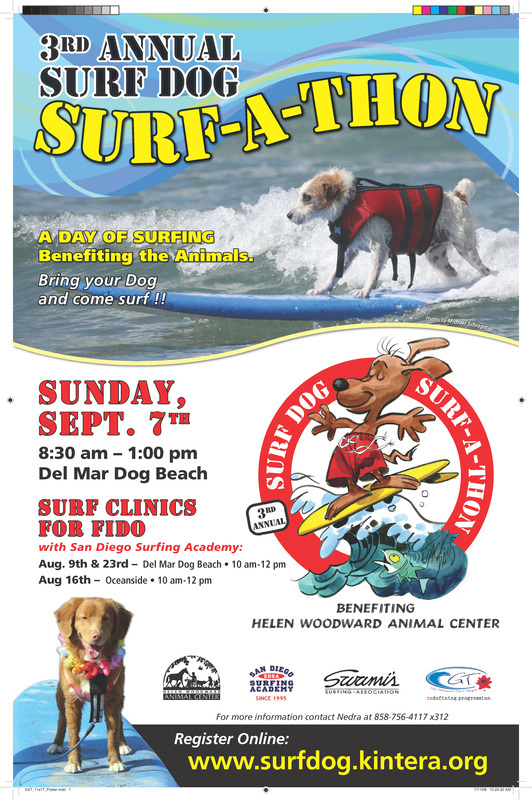 The SoCal Surf Dogs decided to have a surfboard drive to try to collect 10 new surfboards for the Surf Dog Clinics. 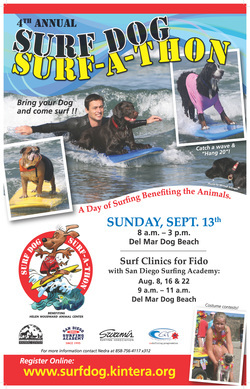 Each donor who donated a surfboard would get a photo of their surfdog applied to the bottom of the donated surfboard. 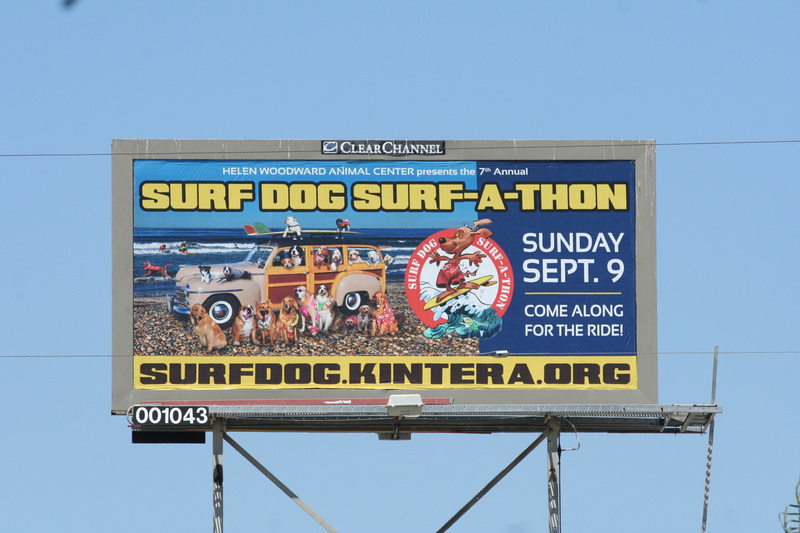 Needless to say, the SoCal Surf Dogs got behind this Idea and donate 13 awesome new WaveStorm Surfboards. 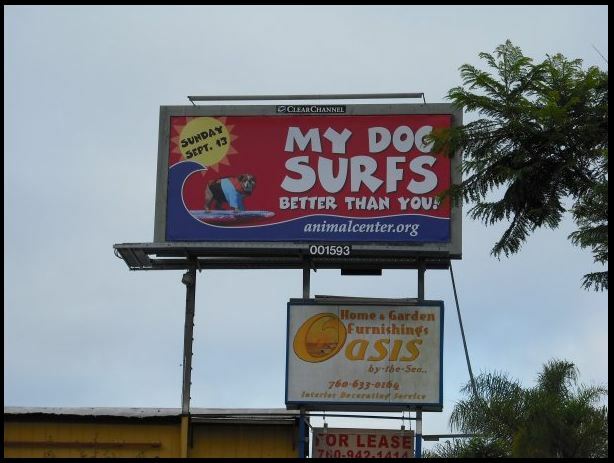 Click on Salsa on the right! 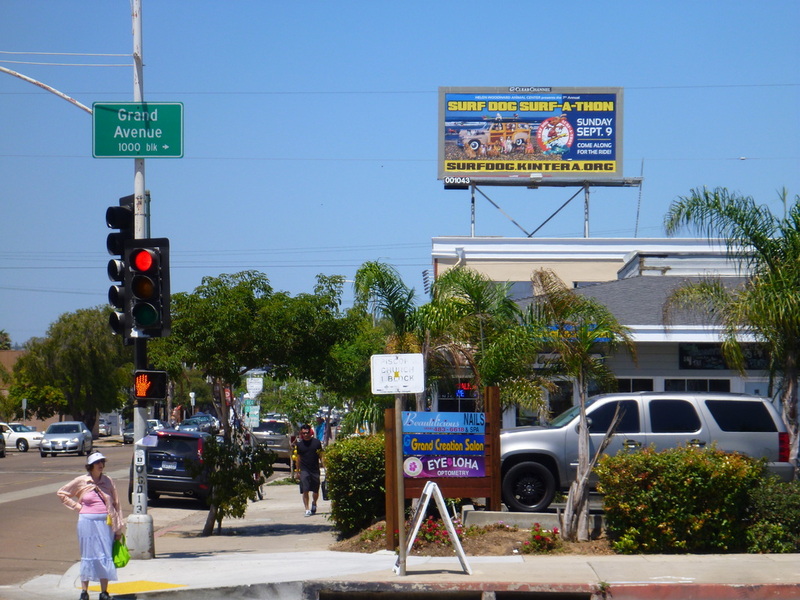 Just east of Mission Blvd. 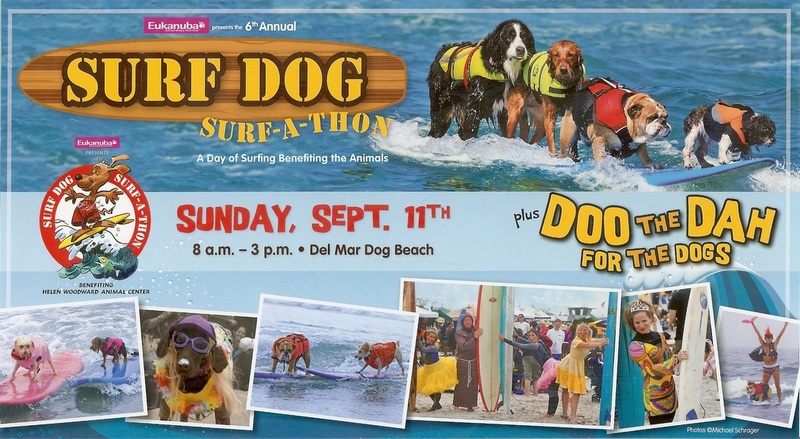 at Dog Beach in Del Mar. 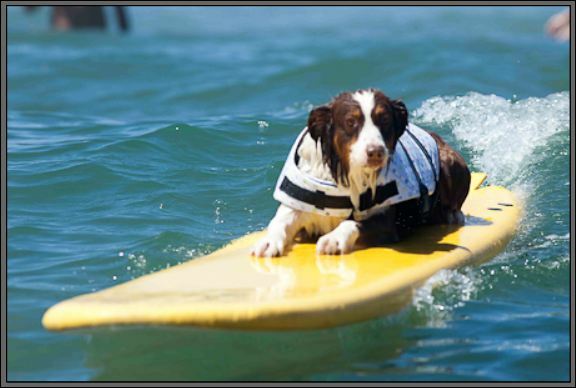 Then click on Dog Surfing. 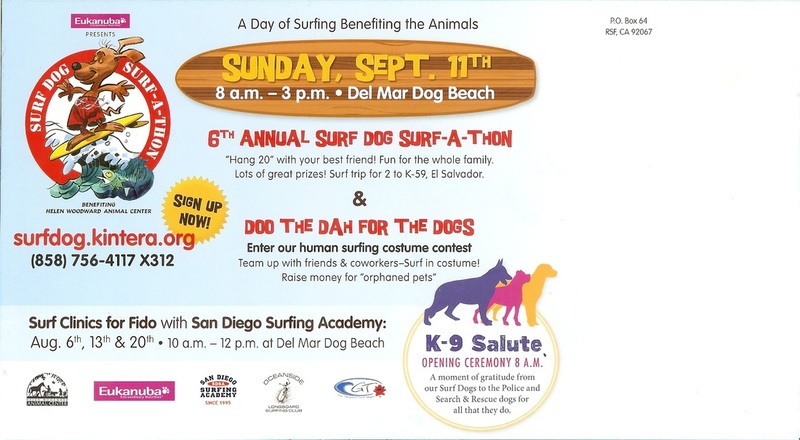 "Surf Dog Hall of Fame"